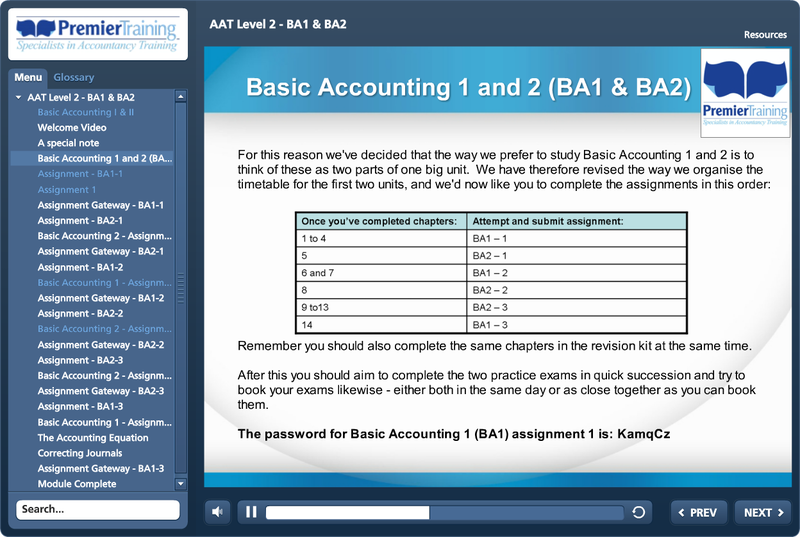 We have improved the online assignments and design so that you can progress through your assignment step-by-step. 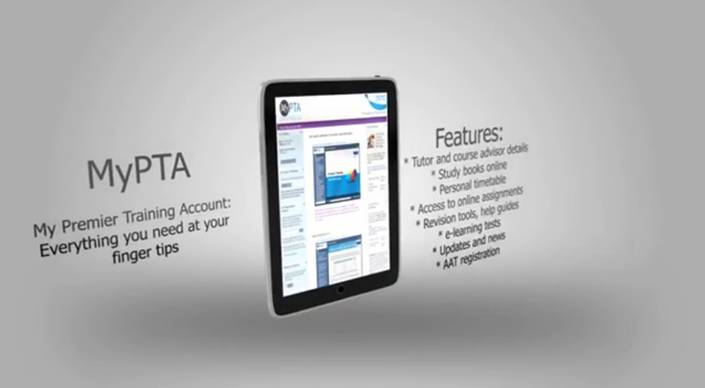 The online assignments also include useful tools such as an onscreen calculator, notepad and tutor contact details. 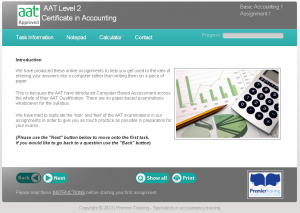 We have tried to replicate the ‘look’ and ‘feel’ of the final online examinations in order to prepare you for the online format of testing. 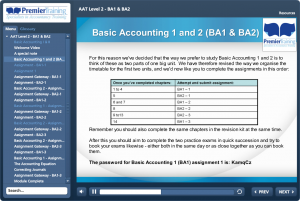 In conjunction with traditional printed books and materials we have created online video tutorials which enhance your learning experience. 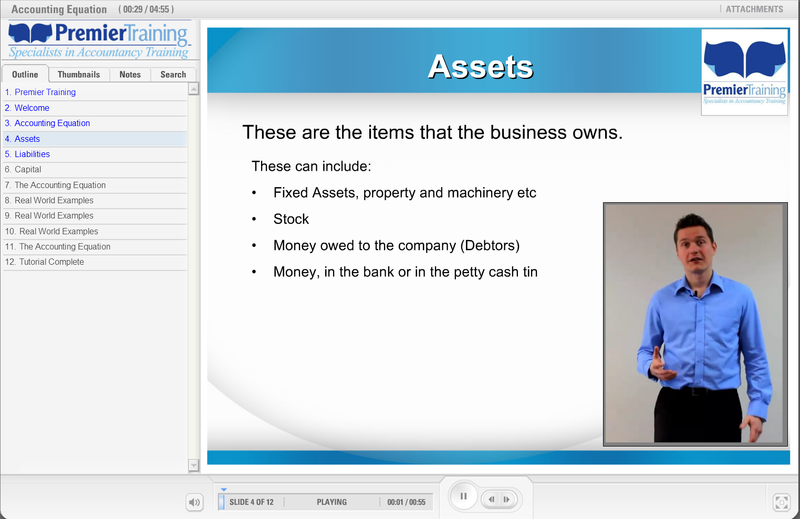 The video tutorials include video lectures, text and online activities and quizzes which will suit all learning styles. 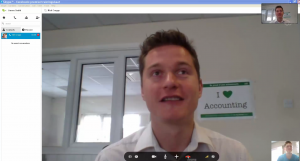 Each week we are creating new video tutorials covering the more tricky parts of accountancy or from student feedback and requests. If you would like a lecture on a certain topic which you would like more tutoring on you can get in touch. New Study UnitWe have organised the study modules such as Basic Accounting or Working Effectively in Accountancy and Finance in the order of the online assignments you submit. This gives you a clear progression route that prepares you for your final exam. 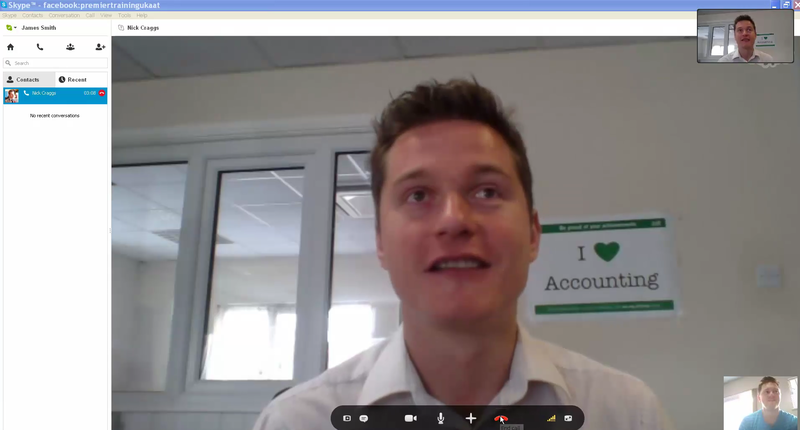 Online Video ChatAdditionally to full direct tutor telephone support we have added support for video calling via Skype software. Skype can be used on any desktop or mobile device free of charge! Remember you can also contact Premier Training on our late nights which are Monday, Tuesday, Wednesday and Thursdays till 8pm. For more information please feel free to contact our course advisor team on 01469515444 or visit www.premiertraining.co.uk.